Welcome to gethynellis.com: Want to Win a Free @LearningTree Course? #LtreRox - @tangentc is the first ever twitter winner!!! 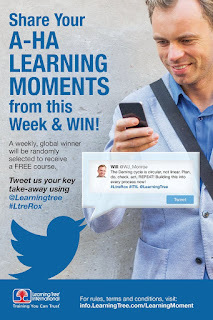 Want to Win a Free @LearningTree Course? #LtreRox - @tangentc is the first ever twitter winner!!! As regular readers of this blog will know I teach some data courses for Learning Tree. 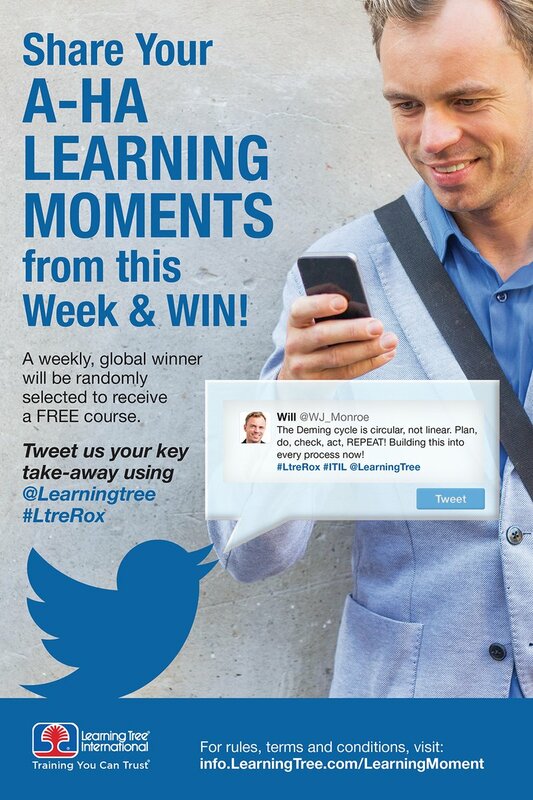 Recently Learning Tree has introduced a new Twitter competition. Attendees current, past and present who tweet about their experiences on their respective Learning Tree courses. What they have learned, key take-away points or if you haven't been on a course yet what you want to learn on a future course. 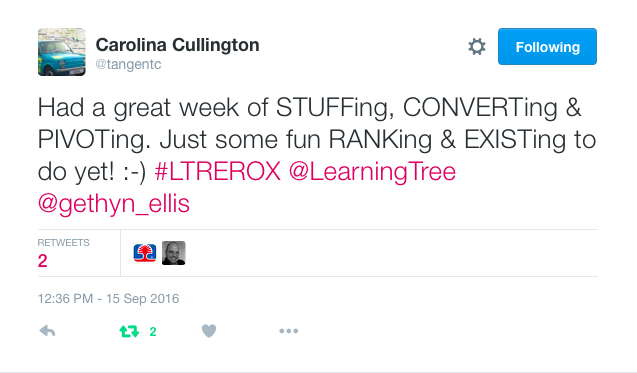 Mark you tweet with the #LtreRox hashtag and also tag @LearningTree in your post and you will be entered into a draw to win a free @learningtree course. The reason behind my excitement, Carolina was an attendee on the course I delivered in London a week back. 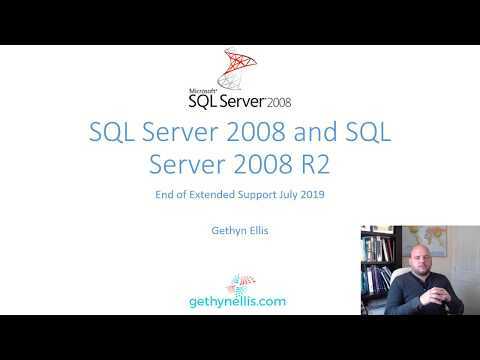 The course was 534 Developing SQL Queries for SQL Server and Carolina attended via Anyware...She was an online student. It'll be interesting to see what course Carolina picks as her free course. Ironically i was speaking with Carolina earlier in the week about the 534 course and discussing future courses that she might attend. I'm not a mind a reader but I think she might opt for the 535 Developing High Performance SQL Databases... However if she reads this post, please do let me know what course you picked in the comments. If you want to be the next winner, you know what to do...get tweeting!